Since 1887, a fat and furry rodent has usually predicted 6 more weeks of winter. 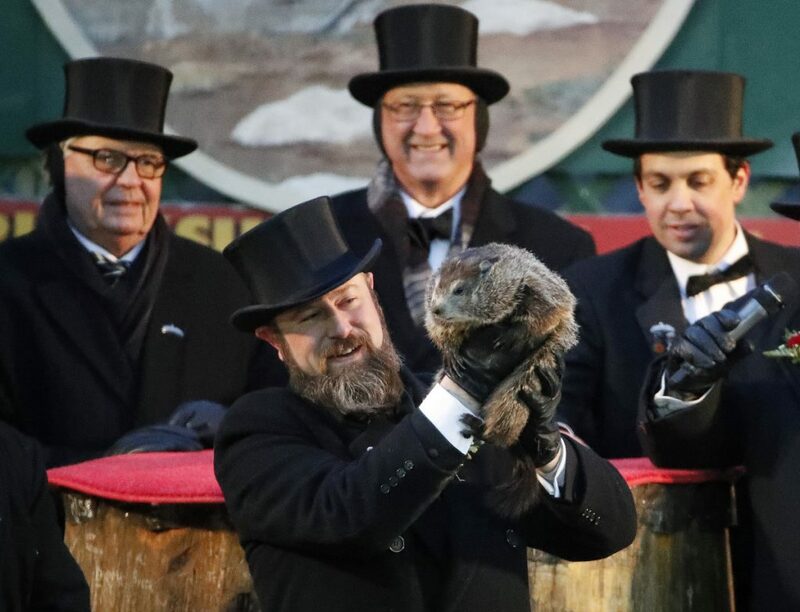 PUNXSUTAWNEY, Pa. – Pennsylvania’s most famous groundhog foresees no early end to winter. Thousands of people gathered overnight to await the forecast, bundled up against the cold and entertained by folk music and a fireworks display, with temperatures around 11 degrees.